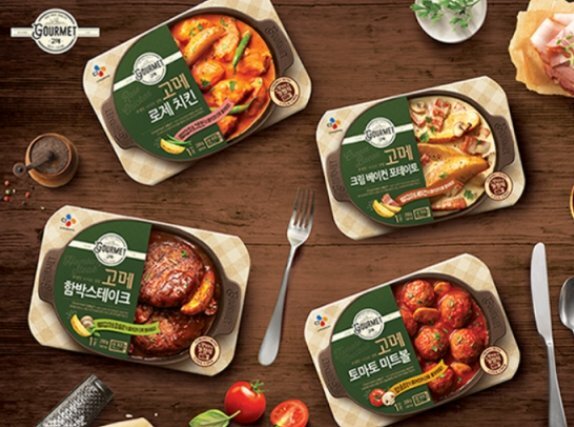 With growing popularity of home meal replacements, or ready-to-eat meals that require little preparation, South Korean food processing companies are in a race to develop better and more efficient microwavable packaging. Industry insiders said packaging technology will emerge as an important factor in the competitiveness of products, while busy lifestyles and easy preparation are also boosting the microwavable food market. According to global market research firm Smithers Pira, the South Korean packaging industry was valued at 44.2 trillion won ($41.4 billion) in 2015 and the size of the world’s packaging market was 998 trillion won. Nongshim, Korea’s largest instant noodle maker, recently launched the Shin Ramyun Black Cup Noodle, its signature Shin Ramyun in a microwave-safe paper container. Unlike most cup noodle containers, which are made of materials that easily melt and catch fire when microwaved, Nongshim said it upgraded the packaging by using a special material verified by the Ministry of Food and Drug Safety. The container can withstand a temperature of 100 degrees Celsius. Meanwhile, medium-sized food company Ottogi has begun selling some of its instant noodles, such as Sesame Ramen, in microwavable containers. Another food manufacturer CJ Cheiljedang recently launched Gourmet Hamburger Steak, which uses a steam heating technology. Consumers simply unwrap the package and microwave it for six minutes to cook it. According to the market research firm Nielsen Korea, the market for home meal replacement products hit 2 trillion won in the first six months of 2017, an increase of about 7.7 percent on-year.